Cloud services help law firms meet client demands for convenience while keeping information safe and following regulations. More and more law firms are moving into cloud computing to take advantage of the convenience, affordability, and increased productivity cloud offers. Convenient access is the most significant reason law firms enter the cloud, followed by 24/7 access and affordability, according to the American Bar Association (ABA). As clients have come to expect law services to be collaborative, efficient, easily accessible, and affordable, law firms have increasingly migrated to cloud-based services to meet these demands. Legal services are by nature transactional, so IT for law firms must be nimble and able to complete these transactions without failure. This requires IT teams to protect their organizations against unpredictable threats such as power outages, ransomware, various malicious attacks, while still promoting collaboration, document control, and practice management. To meet these challenges, more law firms are transitioning workloads from on-premise infrastructure to cloud services, including IaaS, PaaS, and SaaS. Collett Systems can help you go digital while making sure they have the capabilities, security, and compliance they need to store, share, and manage sensitive data. • Malpractice suits alleging gross negligence over the lack of security protocols within a firm are becoming more commonplace. WHAT CHALLENGES ARE LAW FIRMS FACING? In many ways, law firms are in the knowledge business. Knowledge is being mined either to prove a point in litigation or to identify problems before they become legal issues. Most of this information is now stored in electronic form, and with the boom in data stores, email, and shared information, sifting through it has become more complex. While law firms don’t have a specific security standard like FISMA, PCI DSS, HIPAA, or SOX, some of the work they do may fall under the purview of one or more of those standards. And then they have to add privacy laws to the mix. Privacy and data breach notification rules vary by state, and most states have several statutes that could apply to law firms. Perhaps more important to law firms than the statutes is the potential for increased liability involved in a violation. 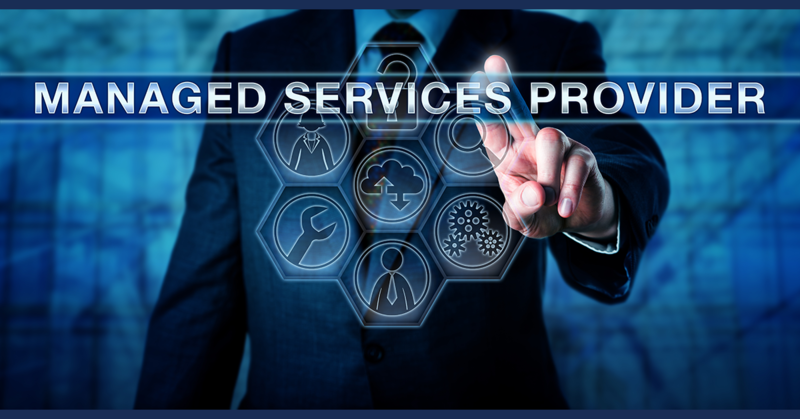 Because legal services are transactional in nature, IT availability is vital. Firms must also protect their organizations against unforeseen threats such as power outages, ransomware, and other malicious attacks. Firms in the legal sector need secure, reliable, and compliant disaster recovery and business continuity protection. Clients are looking for firms that can do the best job without costing a fortune. At the same time, firms are seeking to bill more hours at a lower operating cost. Technologies that allow for such features as remote conferencing and client portals can help maximize a lawyer’s time, increasing value to the customer while lowering costs to the firm. Lawyers are heavily involved in contracting, as they often help negotiate, draft, and manage contracts within their own firms as well as for their clients. As a result, signing, saving, and managing contracts via an online purpose-built solution is becoming increasingly common. Advances in this field empower law firms to interpret and communicate data in new and more sophisticated ways. Lawyers can use the information to better determine the likely outcomes of cases, develop winning legal strategies, estimate the value of a case, forecast litigation costs, and make crucial decisions, including whether to settle or proceed to trial. Big data also can be used to reduce the time and cost of preparing a case by simplifying data gathering and analysis of diverse data sources. Law firms have always collected a tremendous amount of data, and all this information needs to be stored securely and in compliance with data retention and data security mandates. Preventing transaction and data losses as well as protecting sensitive client data are top concerns of law firms globally. Confidentiality is critical in the legal industry. It’s not only clients who demand it; state privacy and data breach notification rules also apply to law firms. Because of the sensitive nature of legal information, law firms are potentially more liable than those in other industries when confidentiality is violated. Thus, law firms require confidentiality guarantees from the business solutions they choose and the vendors they purchase and provision them through. Lawyers are increasingly mobile and need to be able to access their information in real-time, on any device. The functionality and performance of mobile devices have dramatically improved over the last decade and continue to advance at a surprising pace. As a result, lawyers on in-house teams are able to get more done away from the office, which improves efficiency, as well as client engagement and satisfaction. Critical applications must be available whenever and wherever they’re needed. To ensure business process continuity (BPC), firms must be able to continuously monitor their infrastructure to prevent any potential downtime and minimize its impact on business if it does occur. Any cloud services adopted by the firm must fit squarely into this plan. 2. Does your current IT support staff have experience deploying new technology specific to legal? If they do not, how do they get the experience and training needed prior to deployment? 3. Do you have a training plan for your IT staff regarding technical skills and certifications that is customized to legal markets? 4. How do you manage changes in regulations, compliance requirements, and technology upgrades? Do you use a formal process and/or system? 5. Are there any concerns around specific compliances, such as Basel III, Gramm-Bliley-Leach, and SOX? What other regulatory requirements does your business need to consider? 7. Are you using multiple, disconnected applications to accomplish routine tasks, including email, document creation and sharing, and calendar/task management? Cloud computing offers law firms more flexibility than traditional IT infrastructures. Working with a cloud service provider eliminates worries about limited resources, buying and housing servers and hardware, updating software, and data protection. Using the cloud makes it easy to add and change services as needs fluctuate. Cloud computing frees IT resources for other tasks because the cloud service provider takes care of regular maintenance and updates, as well as security checks and procedures. The cloud streamlines collaboration between legal firm staff and clients. Beyond just sharing documents, the cloud allows attorneys and staff to access documents from anywhere in the world. Cloud provides virtually unlimited data storage capabilities, growing as the need for more storage grows. Resources can be added or shelved in response to growth or a change in focus. Cloud services provide 24/7 disaster recovery and more consistent security compliance than standalone systems can realistically provide. Disaster recovery as a service (DRaaS) makes a secure and compliant DR strategy attainable for law firms. Business data and applications are replicated and stored in secure cloud locations. Data, applications, even entire data centers can be restored in minutes from the cloud, eliminating the need to build and maintain secondary data centers for disaster recovery. We provide technology solutions that are budgetable and place less of a burden on scarce internal IT resources. Public, private, or hybrid cloud models can be successfully deployed to meet each firm’s unique needs. Our document storage, signing, and management solutions help your organization securely streamline and modernize processes, which lowers costs, reduces waste, and ensures privacy. We help your firm mitigate risks by ensuring sensitive data are securely managed and compliance requirements are met. We offer solutions designed specifically for the legal industry help attorneys avoid missed deadlines — the No. 1 cause of malpractice claims against attorneys — while staying on top of court rule changes. We can implement DRaaS, or Disaster Recovery as a Service, to help your firm achieve nearly zero downtime, keeping your staff efficient. We implement robust security tools to ensure law firms have the protections needed to safeguard valuable client and firm data. Collett systems will help implement cloud infrastructure solutions to increase business agility, drive new revenue, and improve operational efficiency.